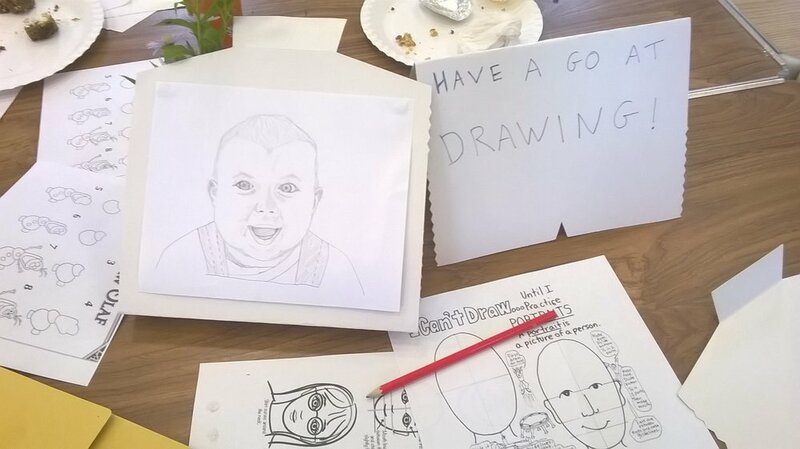 At the October cafe we invited everyone to have a go at drawing, with some fantastic results! Foodie Fair goes down well! We loved tasting all the delicious dishes made by volunteers at our Foodie Fair in July! If you want to recreate these cheap, nutritious meals, check out our recipe collection here. We were delighted to welcome the new head of the Letchworth Heritage Foundation, Graham Fisher to our May cafe, where he heard all about our neighbourhood and the great work of the Wilbury Community Forum. Imajica Theatre Company kindly invited 40 Wilbury families to come to their Christmas Panto, via the WCF Youth Council - one audience member summed up the show: "Awesome!" A fantastic white water rafting trip on the Olympic Loop was organised by Wilbury Youth Council in October, funded by North Herts CVS and Lee Valley. We had a fantastic, lively and slightly spooky cafe in October! The fabulous Robert Charles and Maureen Dudley got us jumping around with 2 free zumba sessions - even the toddlers took part! Meanwhile, Dawn and the craft team had us carving pumpkins- a really popular activity with some amazing creative designs. Thanks Tesco for supplying the pumpkins! At the September cafe we got to try out badminton and other fun activities with Marc, as well as having a go at the traditional Japanese craft of "Notan" (making pictures using symmetrical cut-outs) - it's harder than it looks! The Wilbury knitters were working together on a big, beautiful blanket. After the cafe we held our Annual General Meeting which was a chance to say a huge Thank You to everyone who gives their time and energy to make the cafe, and WCF more generally, such a great success! You can read the Annual Report here. What a brilliant morning! The sun was shining as we tucked into our amazing free BBQ at the Wilbury Summer Fair, and browsed all the gift stalls and tombolas. The kids loved the fire engine and the fabulous dancing with Imajica, and of course the amazing glitter tatoos! Inside, the WCF team were hard at work serving drinks and delicious cakes, Lauren and Erica demonstrated intricate origami, at Dawn's table there were artistic creations sculpted with clay, and the Children's Centre table had lots of fun with play-dough. A huge thank you to everyone who helped out and everyone who took part - too many to name! We also had the official launch of this website, with help from our MP, Oliver Heald. We hope you enjoy keeping up to date with all our news and pictures. See you at the next cafe, in September! At the May cafe we had a great special event on health, with a hall full of information stalls and activities, and free Health MOTs, thanks to the fantastic CDA. We also had a visit from our friendly local policing team, who listened to residents' concerns, promoted the Neighbourhood Watch scheme and carried out bike security marking. Meanwhile, at the craft table, we got messy (as usual!) painting flower pots ready for growing plants this summer. Wilbury makes a BIG NOISE! At the April cafe we had a special treat with a visit from the amazing Garden City Samba band - and it got very loud! The musicians played for us and then let us join in on their drums, tambourines and other percussion. Lots of us played the instruments we'd made at the craft table, using cardboard tubes, paper bowls, pasta, rice, and plenty of glitter. And some of us were just happy to dance! If you missed out this time, you can catch Garden City Samba at lots of fairs and fetes this summer - see their website here. At the March cafe we had loads of fun at the craft table, making Easter bonnets and hats - it was great to see so many people of all ages getting stuck in! We made some fabulous creations, with flowers, feathers, glitter, and even chocolate eggs, as you can see... Can you believe they all started off as paper plates and bowls? Remember that sweltering day in July 2015 when the dustcarts rumbled around Wilbury and the pavements were crammed with junk? Well we said, "Dump the junk!" And boy, you did just that! North Herts Homes and Howard Cottage Housing Association were so generous and Lorna Kercher our County Councillor topped up the money needed for one dustcart and one caged vehicle. In point of fact we totally overwhelmed Veolia but their amazing team worked like crazy, got additional carts out and instead of 8 tonnes, they collected 20 something…..
Want to help out with future events like this? Come to the monthly café and tell one of the volunteers who you are and what you would like to do to help and get involved. Tell your friends and family about Wilbury Community Forum. There's no better way to make a difference than to get involved yourself. Come along and get stuck in! The Wilbury Community Forum does what it says on the tin: it's about building the community! DUMP THE JUNK 2015. Photography provided by ppf digital photography. 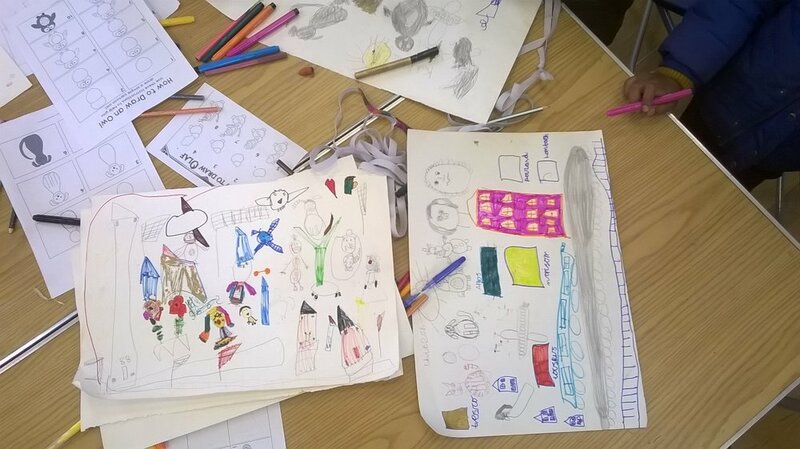 The Wilbury Youth Council’s event “Biology Blast” on Sat 13 June 2015 in the Wynd aimed to make science fun and interesting! From left, Julie Hone, Jennifer O’Leary, Sue O’Ferrell, Chris Taylor, Joan Bolton, Sue Fairey. We held a photography workshop for young people in Spring 2015 - here's just a few of the great pictures that were taken in and around Wilbury. Thanks very much to Maple Photos and to Ingrid Horgan!